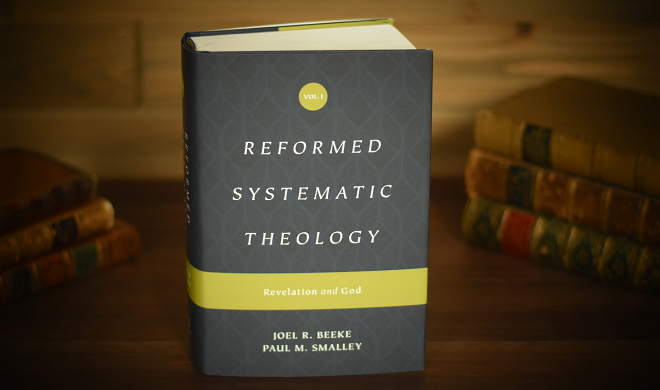 The first volume of the Reformed Systematic Theology by Joel R. Beeke and Paul M. Smalley is published at Crossway. The subject of the first volume is Revelation and God. 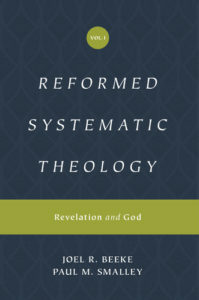 The first volume in the Reformed Systematic Theology set of four projected volumes that draws on the historical theology of Reformed tradition, exploring the first two of eight central points of systematic theology—the doctrines of revelation and the character of God—with an accessible and comprehensive approach that is biblical, doctrinal, experiential, and practical. Video: How will this impact my life?